Employee advocacy has been getting a lot of press lately, but it’s not like it’s a new concept. The idea of employees being best suited to represent a brand or company is as old as business itself. Any time they’ve been welcomed aboard to a new job and given some branded swag, that isn’t just a gesture of good will. That t-shirt or coffee mug can turn even an unenthusiastic employee into a walking billboard for the brand. When employees attend a trade show or conference, it isn’t just so they can learn something new or advance their job skills. They’re raising brand awareness with every conversation they have and introduce themselves. And if they’re saying great things about the company? That’s the pinnacle of employee advocacy. Very few people get a job because they want to, so when they start saying great things about the companies they work for, it’s an endorsement that holds a lot of weight. This knowledge, coupled with the rise of influencer marketing, has business owners reevaluating employee advocacy methods to jibe within the a modern context. 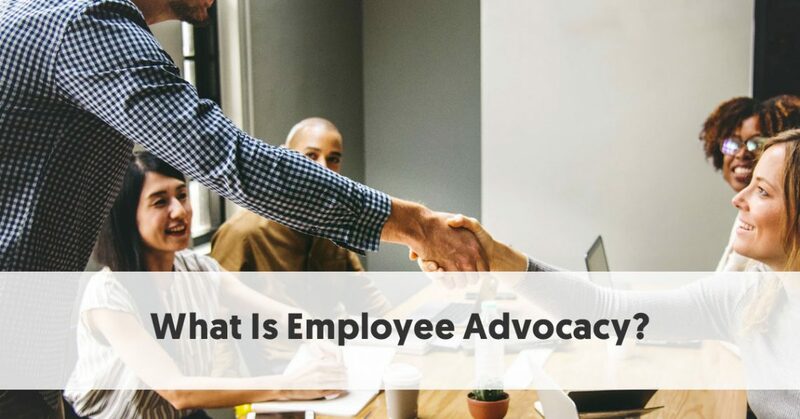 And because the phrase itself—”employee advocacy”—is being thrown around so much these days, there are a good number of people wondering exactly what employee advocacy is. As of 2018, it’s a lot more involved than giving employees t-shirts and letting your logo do the talking for them. These days, when we talk about employee advocacy, what we mean is this: an organized, programmatic way of having your employees promote your business on social media. In some ways, it’s an offshoot of content marketing, with employees sharing content along with the brand. This increases the potential reach of a post beyond just those who’ve chosen to follow the brand. But employee advocacy, at least the kind that works in 2019, really has more in common with influencer marketing. Like influencer marketing, employee advocacy leverages the natural, authentic interactions of social media to build brand awareness. 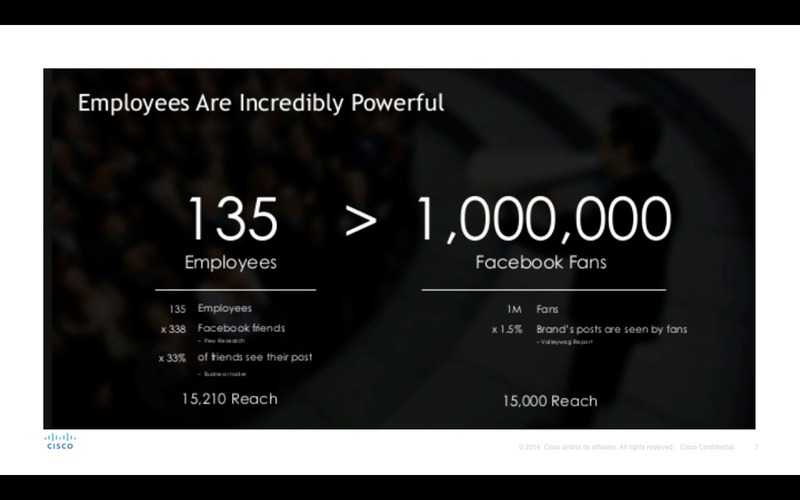 Employee posts get 8x the engagement as their employers. That’s because people are 16x more likely to read a post shared by their friends and family than one from a company. If influencer marketing is your creative younger brother who does his own thing and people love him for it, employee advocacy is your successful older sister who makes office life interesting—and people love her for it. It doesn’t seem obvious that there’d be a discovery portion of implementing an employee advocacy program. They’re your employees; you hired them. Haven’t they already been discovered? In a word: no. Not every employee makes a great advocate. Some might not have social followings big enough to justify the effort, while some others may not want to engage in social media at all. In any case, just because you’re going about this in a programmatic way doesn’t mean it has to be mandatory for everybody. Let’s be honest: not everybody is going to love their job, and you can’t force them to promote you if they don’t want to. That’s a strategy that’s bound to backfire. If you want more of your employees to act as advocates, you need to have a corporate culture to nurture that. In the meantime, tap your standout employees: the ones who are always eager and ambitious, the ones who understand your company and its mission, and, yes, the ones who spend a lot of time on social media cultivating followings. Look to see what your employees are up to on LinkedIn, especially. The ones with a lot of connections and who post regularly are obvious candidates. This doesn’t mean your advocates need to post indiscriminately, bogging down their followers’ and contacts’ feeds with an overwhelming amount of content, on topic or not. Instead, it means to take a lesson from content marketing: the content shouldn’t be sales-oriented. And not all of it has to be specifically about your company. Instead, your employees should be encouraged to share content—either from your own company blog, or anywhere else if it’s relevant—that interests them. Tech giant Dell adheres to a standard of only 20% company-related content. The rest should be up to their employees. This might seem counterintuitive, to allow employees to do what they want on social media during business hours. Think of it as kind of a “Show, Don’t Tell” philosophy: Dell and others who approach their employee advocacy programs similarly, demonstrate that they have smart, interesting employees whom they trust to spread the word as they see fit. This is far more effective than issuing a press release describing how much they value their workforce. If you’ve found the right group to participate in your advocacy program, you’ll be able to trust them to do the same. You’ll want to establish some kind of guidelines around taste and appropriateness, but for the most part they should be encouraged to share content that covers a wide range of topics—and to weigh in with their own thoughts. Again, the key here is authenticity. When people trust what they’re reading, the bearer of the information becomes trusted, as well. That only deepens the impact of the minimal content that is company related. Again, the whole idea of minimizing your company’s presence within the breadth of content that your employees share sounds counterintuitive. But let’s look at Dell again: with a 20% limit on company-related posts, their employees collectively posted six times more Dell-related information than brand accounts. They have 10,000 employees participating in their program, all of whom are acting as a kind of decentralised and self-sufficient marketing firm, raising brand awareness. If brand awareness isn’t enough of a result, how about increased sales? 78% of salespeople who use social media as a tool for their jobs outsell their colleagues. Or how about employee advocacy effect on recruiting? Employee referrals account for only 7% of all applicants but 70% of all hires—and the process is cheaper and quicker, to boot. Employee advocates pushing out job openings to their followers is a much more proactive way to search than job listings, and much less expensive than going through recruiters. Additionally, employees found through referrals report greater job satisfaction, with 47% staying on for more than three years. With all these happy employees, you’ll be able to keep adding members to your advocacy team. In this way, employee advocacy becomes a positive feedback loop, improving your brand’s image, sales, and staffing. So, what is employee advocacy? It’s a social marketing, sales, and recruitment tool. And it’s something you can’t ignore much longer.